Large displays tend to occupy a lot of desk space, something that is not appreciated by many. 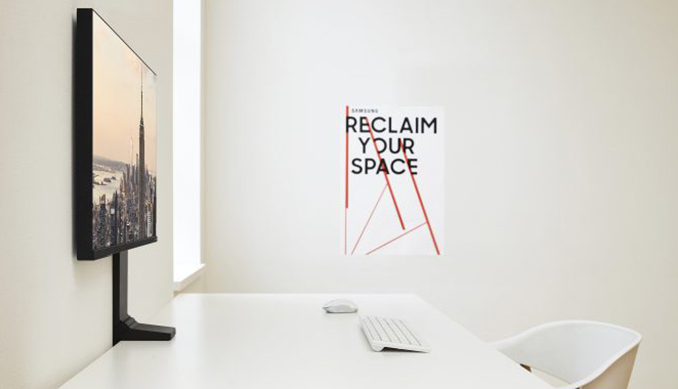 Samsung has developed a family of monitors, called 'Space Monitors', that use a unique hinge mechanism for a minimalist design that promises to save as much space as possible while still providing 27-inches or 31.5-inches of screen real estate. Announced early this year, Samsung’s Space Monitors are now available for pre-order and will ship in April. 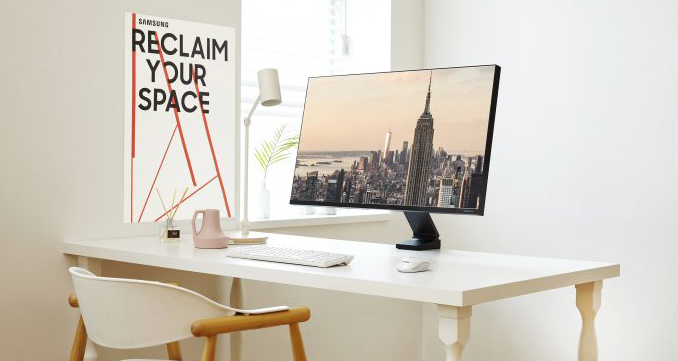 There are several ways how Samsung’s Space Monitors save desk space. First up, the displays attach to a table using a clamp that takes up far less space than a traditional stand. 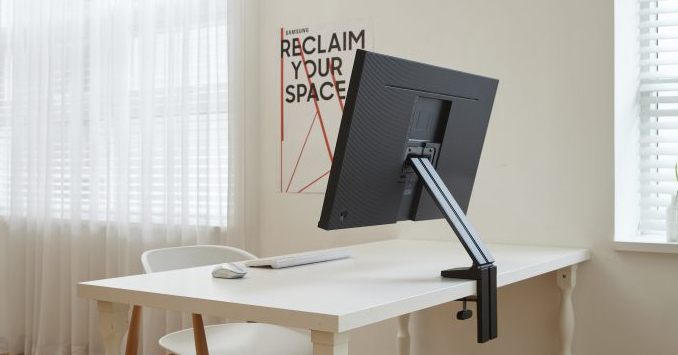 Space Monitor’s stand can adjust height and tilt, but not swivel. 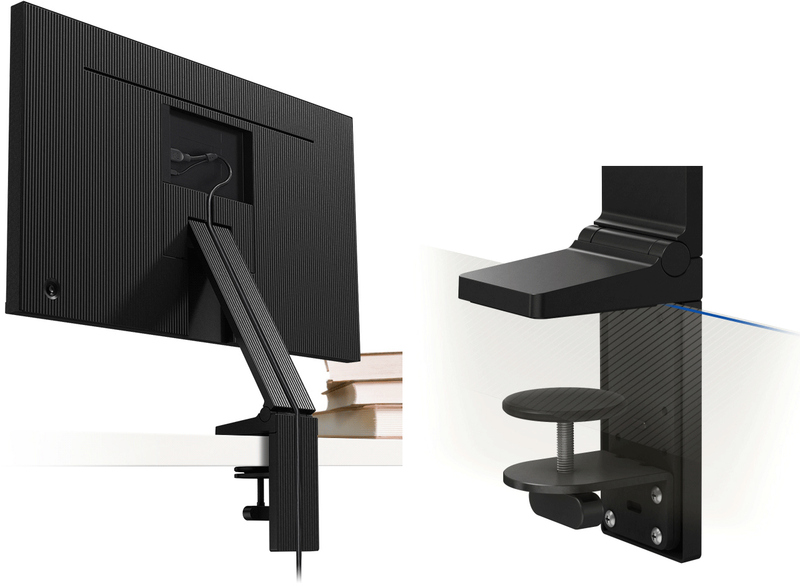 Secondly, the stand conceals power and signal cables that tend to occupy space as well. Thirdly, the LCDs feature very thin bezels. Overall, Samsung says that its Space Monitors increase usable space near displays by 40% when compared to regular LCDs of similar sizes. Samsung’s Space Monitors use 27-inch and 31.5-inch VA panels, which offer considerably different specifications. The 27-incher supports a 2560×1440 resolution, 250 nits typical brightness, a 3000:1 contrast ratio, 178° viewing angles, a 4 ms GtG response time, a 144 Hz refresh rate, and so on. The 31.5-incher features a 3840×2160 resolution, 250 nits typical brightness, a 2500:1 contrast ratio, 178° viewing angles, a 4 ms GtG response time, and a 60 Hz refresh rate. Both displays can reproduce 1.07 billion colors, but the Space Monitors only support the sRGB (100%) and the NTSC 1976 (72%) color spaces. In fact, the monitors have other compromises as well. 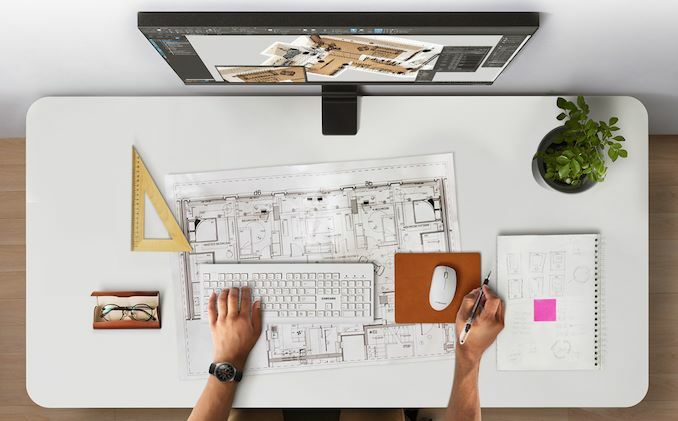 To make the displays as compact as possible, Samsung decided not to integrate speakers (and even omitted a mini jack), which is why its owners will have to use external speakers (or a soundbar) that will a;so consume desk space. 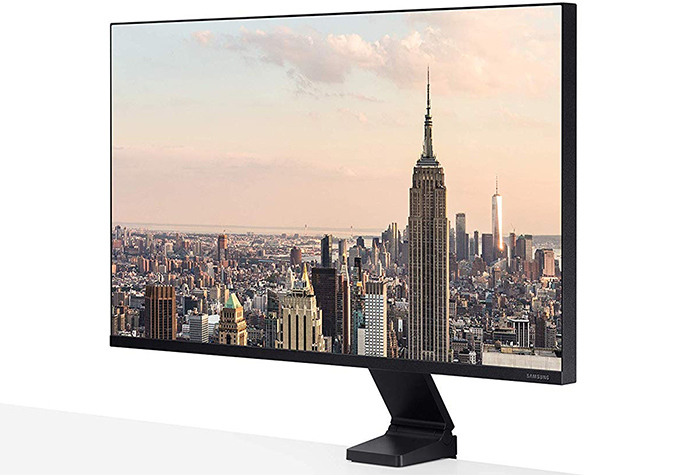 Samsung is already taking pre-orders on its 27-inch (LS27R750QEUXEN) and 31.5-inch (LS31.5R750UEUXEN) Space Monitors in the US and in the UK. The smaller one costs $399.99, whereas the larger one is priced at $499.99 when purchased from Amazon. The official launch is April 8th. No reason not to, they do it with some of their tv's, although it's not usb-c. I'm guessing the target here is the business sector where the IT guys won't be so happy mounting hundreds of monitors onto aftermarket stands? I'm not sure where the 144Hz on the 27" moodels fits into an office though.